Vancouver’s very own Ryan Reynolds is narrating Great Bear Rainforest, an upcoming IMAX documentary on the namesake rainforest on the central coast of British Columbia. 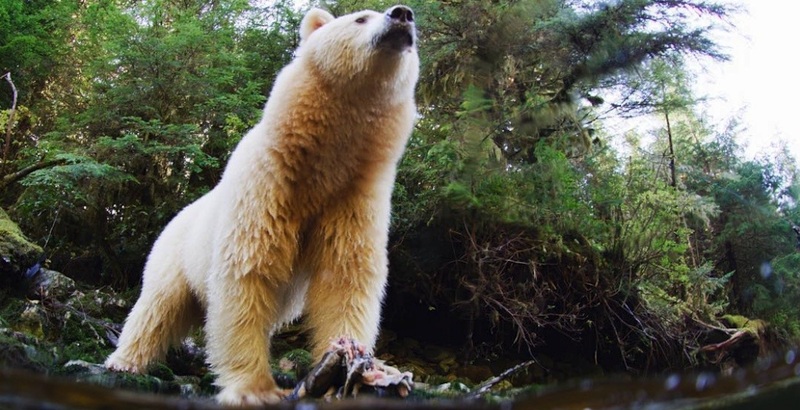 The documentary by Spirit Bear Entertainment brings a Planet Earth-like production quality to showcase to global audiences the wildlife-rich world of the Great Bear Rainforest. It is also the first giant screen film for IMAX theatres shot exclusively in the province and the first to feature Canadian indigenous peoples. The film is directed by Ian McAllister, who is the executive director of Pacific Wild, and produced by Jeff Turner, with Byron Horner as an executive producer. The production team spent three years filming in the rainforest — everything from capturing the underwater life of salmon river valleys to the ice-capped peaks of the Coast Mountains, as well as unprecedented close-up footage of the rare white-furred spirit bear and stunning footage of the coastal wolves, grizzly bears, sea otters, humpback whales, sea lions, salmon, and the annual herring spawn. Recent changes by the provincial government now better protect the Great Bear Rainforest, which is the largest coastal temperate rainforest in the world and one of the planet’s most sensitive ecosystems. “I want my children to know there is still an area in this world that has remained wild, and will remain that way, because of the long history of stewardship shown by indigenous people,” said Reynolds, in a statement. Academy Award-winning composer Hans Zimmer is also involved in the film, as he has offered his hand in composing the main title theme for the film. The film premieres privately in Vancouver on February 11, 2019, and it will then be released to the public in four Canadian markets — Vancouver, Victoria, Toronto, and Sudbury — on February 15. Additional theatres in the country will screen the film later in the year. 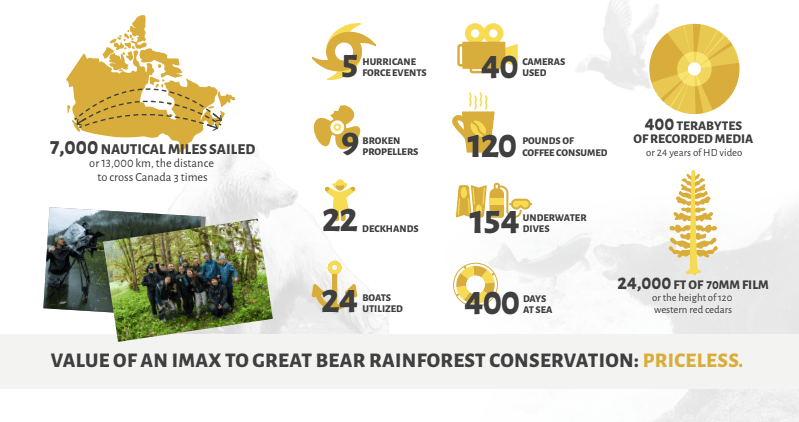 You can learn more about the Great Bear Rainforest and the efforts to protect it at Pacific Wild.